A selection of events we will be present at. In the coming months we will be present at different conferences and tradeshows. Please note that not all events are described below, we also visit conferences and tradeshows without exhibiting. When you would like to meet with someone from Xpress, please send us a message to verify if we will be present. Seminar on Quantitative Microscopy (QM) & Nanoscale Calibration, Standards & Methods and Dimensional & related measurements in the micro- and nanometre range. 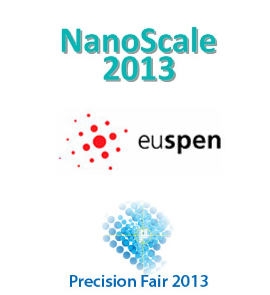 Several of our researchers will be attending the Euspen conference in Berlin. Furthermore, we have a booth (4) at the exhibition and a presentation during the commercial session. We look forward to meeting you in Veldhoven.